For a lot of people, boating is an enjoyable activity. They do it for different purposes. But there are some things that you need to know when you are out boating. Read on to find out the 16 Tips for Boating in the Ocean. These tips ensure that you stay safe and also keep the marine ecosystem safe. A tip that you should always remember is to never litter when you are out boating in the ocean. It’s a big no! Littering the ocean will only make marine pollution becomes worse. Marine creatures would suffer from the things that you are throwing around in the ocean water. You would still want to be able to boat in the coming years right? That’s why you must take part in caring for the ocean. Keep your trash in your boat and dispose them when you are on land. Marine protected areas are sanctuaries. They are used to protect certain sites due to the ecosystem or preserving culture. There is a huge importance of marine protected areas for everybody. Watch out for these areas so you know where they are located once you go boating. 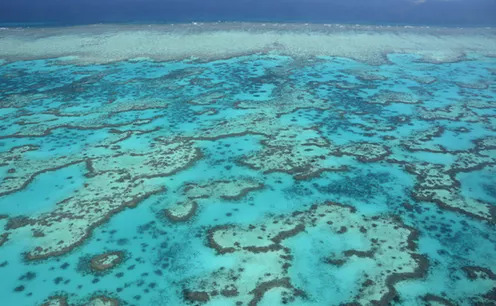 Marine Protected Areas don’t always apply the same rules. However, in case you are still allowed to boat within the area, be mindful as to avoid causing fatal damage. Is it going to be a long sunny day or is a storm about to come? Always check your local weather beforehand. Use your TV or a radio. This way, you can make your preparations. But the weather isn’t always predictable. Sudden changes can happen since there are a number of ways ocean affects weather. Think about this before you go boating. When the sky turns dark with strong winds and high waves, make your way to land quickly. You can also choose to ride it out but make sure you are experienced and know your safety plan. This is a tip for boating in the ocean that you must take into account. Follow basic boat safety precautions at all times. You may think you know them all and take it lightly. However, the smallest mistake could be fatal when you are boating out there. Get as much knowledge about boat safety as you can and apply them. It’s better to leave your alcoholic drinks behind. No need to bring them along with you when you’re boating. Especially if you have a bad history with drinking. The effects of alcohol can get worse under all that heat from the sun. Remember, you are still navigating a boat. Drinking could lead you to an accident or make you do harmful actions to the ocean. It’s always a good idea to make a checklist for things to bring. This will lessen the chances of you forgetting something important. So take your time to think thoroughly about the things you need. Don’t leave out anything that could be crucial to your survival. A useful tip for boating in the ocean that will keep you safe is to stay away from large ships. These huge vessels can’t stop or turn at a fast pace. Boating close to the large ships might endanger you. Steer clear away from them when you see them close to your path! Learn the characteristics of waves in the ocean which could be handy when you operate your boat. Pay attention to buoys when you come across them. They are navigational aids that help you in the ocean. Be careful with how you go around them. You don’t want to break them or cause any damage. Make sure that you are familiar with the boat that you are using. Get to know how it works really well. Once you feel comfortable, you will also be confident when you’re boating. This will help to keep you safe in the ocean. Boating all by yourself is fine. But you can always have someone come along with you. They might be helpful in case anything bad happens. When they know how to swim and operate a boat, it’s a plus for you. They can also keep you company so you feel less lonely or be a friend in your adventure. It’s a good tip for boating in the ocean. Have someone know where you’re going and the time as well. In case anything happens, people can help you. The more information you give, the better. You can never be too careful when you are out venturing the ocean. Don’t ever hurt the marine creatures as that is one of the fatal threats to marine ecosystems. So boat with precautions. You may come across creatures such as dolphins. Careful with how you operate your boat around them. As you are boating in their home, show your respect towards their well being. Another tip for boating in the ocean also involves marine creatures. Avoid disturbing them. Disturbance can make them stress out. What you can do is to be mindful of your voice and the sound your boat is making. Don’t be noisy so you don’t bother the marine creatures. Make sure that the boat is in good condition. There should be no leaking, especially fuel. Spillage could be equivalent to the impacts of oil spill in oceans so avoid it. Always have your life jacket on. Most cases of drowning are caused due to not wearing it. Swimming may sound easy but the ocean is a vast water to dive in so make sure you are good at it. Hopefully, you can put these tips into good use. Enjoy boating safely while you explore the ocean ecosystem!